THE ECONOMIC FORTUNES OF 47 MILLION US HISPANICS ARE GROWING, AND BUSINESSES ARE TAKING NOTICE! Stateside Puerto Ricans or Puerto Rican Americans are American citizens born in Puerto Rico, or in one of the states of the United States to parents of Puerto Rican origin, who have notably lived a significant part of their lives in the District of Columbia or one of the states of the United States. Since 1898, Puerto Rico has been an unincorporated territory of the United States and is officially named the Commonwealth of Puerto Rico since 1952, when its constitution was adopted. The residents of the islands were given full U.S. Citizenship in 1917, through the Jones-Shafroth Act. Puerto Ricans are the second largest Hispanic group in the US and comprise 9% of the Hispanic population in the US, and comprise 1.5% of the population of the 50 states and Washington, D.C. Puerto Ricans in the Diaspora (US-based), the 2010 census has a particular historical meaning — it marks the 100th anniversary since the first US Census, back in 1910, started counting Puerto Ricans as a separate group. It would be a good time for our community to take stock of where we are and how far we have come in one century. In terms of socio-economic factors, the 2010 Census is likely to reflect some significant gains for Puerto Ricans. Among Puerto Ricans in the U.S., there are probably more college graduates than ever, more homeowners and more who have moved into middle-class status. Puerto Ricans made national news with the appointment of Sonia Sotomayor, a second-generation Puerto Rican from the Bronx to the US Supreme Court, and José Acaba, the first Boricua astronaut in outer space. 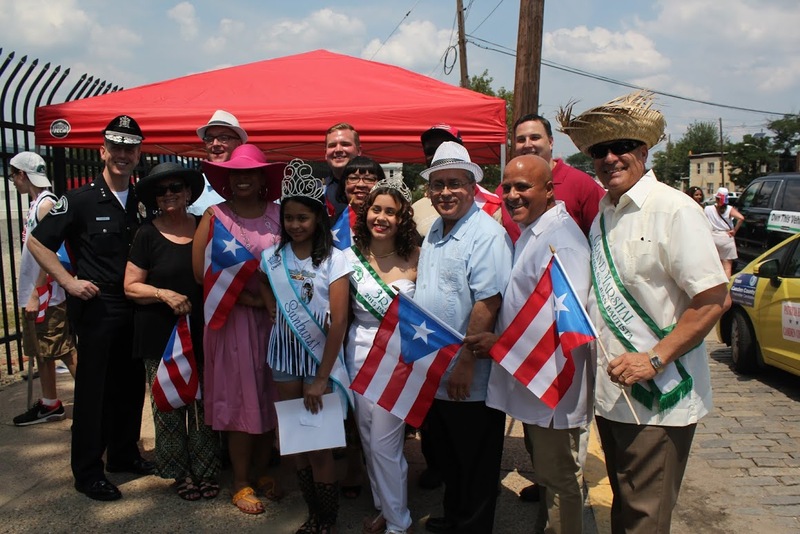 Puerto Ricans have been migrating to the United States since the 19th century and have a long history of collective social advocacy for their political, social rights and preserving their cultural heritage through celebrations of over 100 Parades and Festivals nationwide. According to the 2010 US Census, the population of Puerto Ricans in the State of New Jersey is 434,092 of that 238,866 live in Philadelphia, Camden and Wilmington. Camden is ranked 18 of 25 cities with the highest population of Puerto Ricans. The population in the City of Camden, New Jersey is 79,904 of that 23,051 are Puerto Ricans with an average income of $23,421 and a 51% rate of high school graduates. The Parada San Juan Bautista, Inc. invites you to join us as a financial supporter of our activites and events as we celebrate 56 Years of Culture and Traditions! Come celebrate and participate in one of the largest and expected events in the area with the biggest potential clientele to you. As a participating sponsor, you will be joining the committee in a very important mission, which is to preserve our Puerto Rican heritage as well as enable children of Puerto Rican descent to further their academic studies through sponsorship packages that are the primary source of funding for the Scholarship Fund. The Scholarship Fund provides the means to achieve the best educational experience to academically qualified students who otherwise would never get the chance. The donations made by sponsors also support the organization’s expenses associated in assuring the success of its cultural and educational awareness activities and events. 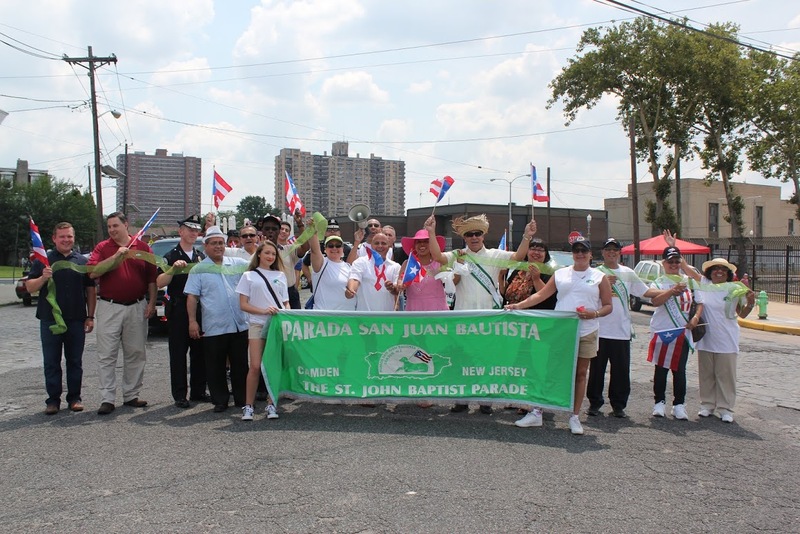 Depending on the level of contribution, the Parada San Juan Bautista, Inc. offers exposure and visibility via multifaceted specific media and public relation plans, as well as unique and flexible marketing plans catered to your company’s needs. We are certain that with your company’s financial support, you will establish a more intense rapport among the fastest growing segment of our community: the Hispanic population. It will definitely be the best promotional opportunity to expand your company’s brand reach, promote more visibility, sell and establish public impact among our community. Your business cannot afford to miss on the purchasing power of the Hispanic market.